I'm really behind on current television these days (if it's not on Netflix, I probably haven't watched it). But I'd heard about Orphan Black from a few friends, and when I saw that the first season was available on Amazon Prime, I thought I would check it out. You guys, I watched the entire first season over the course of a single weekend. Granted, the first season is only ten episodes, but still. I was hooked. A lot of the show's success rests on Tatiana Maslany, who plays the clones who are at the heart of Orphan Black, and she is just brilliant. 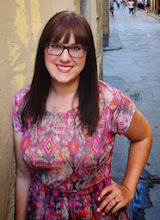 It's difficult for one actor to play a variety of characters who look exactly alike and make each feel unique and like their own person without falling into stereotypes or caricatures (the nerdy one, the soccer mom, the crazy one). Maslany's portrayals make each of the clones feel different from one another, and she's so good that I often forget that she's playing each of these characters. Maslany is particularly skillful in making each clone look and sound different, and it's not simply because of the change of clothes, hairstyle, and accent. The way she carries her body, gestures with her hands, and speaks with her voice makes each clone feel like their own distinct person. My favorite clone is Alison, aka The Soccer Mom. At first glance, it would be easy to write Alison off as shallow, superficial, and selfish, a stereotypical upper-class suburban wife and mother. But Maslany brings a depth to the character the feels very natural and never forced, making you feel for her when she struggles but laugh at her when she finds herself in another ridiculous situation. Alison definitely seems like one of the most unhinged clones (aside from Helena, but I don't want to spoil anything for those of you who haven't seen the show), and her drug and alcohol use aren't helping. I'm excited to see how she handles things in the upcoming seasons. I think that one of the things that made the first season so successful for me was the interesting questions it raised without being overly complicated. Certainly it's somewhat complicated (this is a world where human beings have been cloned! ), but I never felt confused or lost as Orphan Black explored the mystery behind the clones and raised questions about the ethical implications involved in cloning. I hope that this sort of tight narrative focus continues in the coming seasons as the world of the show expands and the clones unravel more of their story. I find the ethical and scientific questions behind cloning to be the most interesting (What are the benefits and problems involved in cloning? What are the implications of creating multiple human who share identical DNA? Who owns the clones? Are clones even human? ), and I hope the show focuses on exploring these in greater depth. 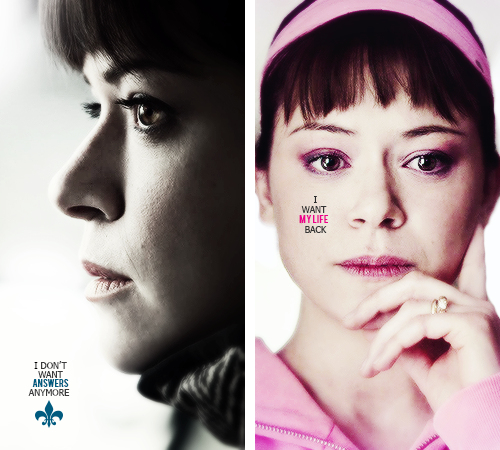 If you haven't already, I highly recommend checking out Orphan Black. It makes for very good weekend viewing. What are you watching right now? Any other Orphan Black fans out there? Spot on! Alison is my favorite as well, though Sarah's streetwise grifter is a close second. On top of all the interesting ethical questions and mysteries that stem from the whole clone thing, I really love what the show does with questions of identity and how we define ourselves. One exchange that highlights this is when someone says "There are nine of you that we know about" (or something like that, referring to the number of then accounted for clones) Sarah responds "No, there is only one of me." This little movements are emphatic and reveal the deeper thinking going into the show. But, the ethical and philosophical quandaries of cloning or clonedom (being a clone?) never overshadow the fast paced thriller of a ride the show is.